"Due to the recent financial crisis, the requirements imposed on banks have been made stricter. Banks must model the credit risk of the counterparties now in their portfolios, for instance." continues Centrum Wiskunde & Informatica. Qian Feng’s PhD defence. From left to right: promotor Prof. Kees Oosterlee (CWI and TUD), Prof. Drona Kandhai (UvA and ING) and Qian Feng (CWI). A measure for this is the credit value adjustment (CVA): the difference between the value of a portfolio without credit risk and the value if a possible bankruptcy of the counterparty is included. Qian Feng, PhD student from Centrum Wiskunde & Informatica (CWI) in Amsterdam, modelled CVAs and designed a new algorithm that can help banks estimate the risks precisely, so they can take appropriate measures if necessary. She defended her PhD thesis ‘Advanced Estimation of Credit Valuation Adjustment’ at Delft University of Technology on 4 April. The resulting algorithm can compute the risk of high losses more precisely. The project, which this PhD research was part of, was funded by NWO/STW. Participants of this broader project were Centrum Wiskunde & Informatica (CWI) and University of Amsterdam (UvA). The ING bank provided financial support to the project, and helped with the training of two PhD students. Besides ING Bank, VORtech Computing and EY were members of the project’s user committee. This research project demonstrates a successful collaboration between the academia and the industry. 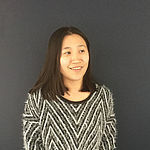 PhD candidate Qian Feng obtained her doctorate on April 4th with her thesis “Advanced Estimation of Credit Valuation Adjustment”. She performed her research at Centrum Wiskunde & Informatica (CWI) under the supervision of Kees Oosterlee.